Hi everyone! Yes, I mattified my mani, again! Haha. 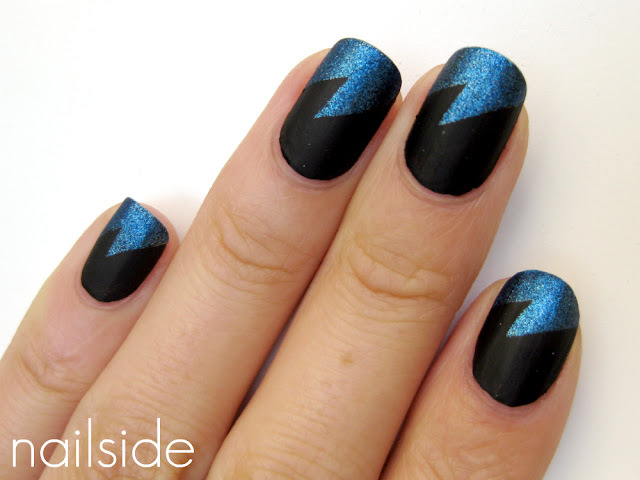 Don't you just love how a matte topcoat can completely change a look, only by changing the finish?! They're especially great for graphical patterns like this one, the matte finish reduces reflections so the pattern is more visible :) Have a great night! I like it better this way. 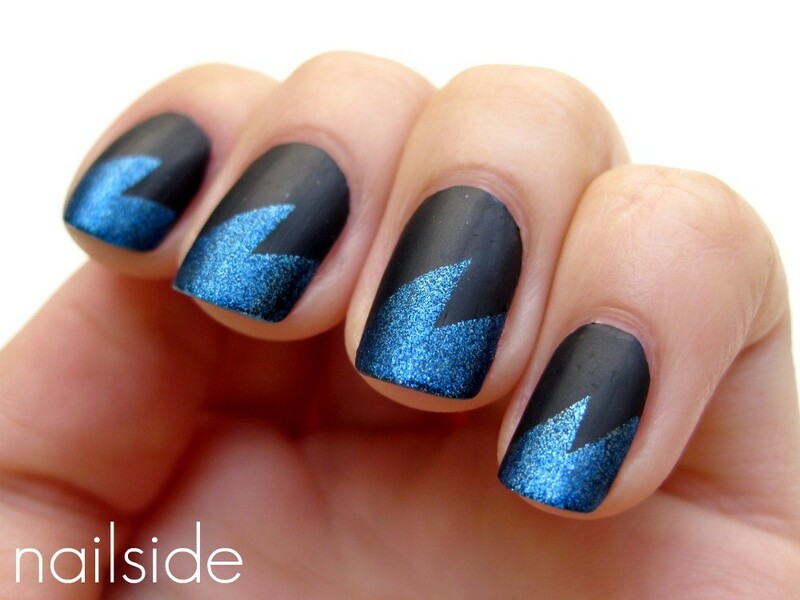 But either way, it's an amazing mani! Another hit (both matte and shiny) Oh man you need to stop doing this to me. You have so many great ideas I want to try! You're right the design is so much more nicer in matte! Love it! Fantastisch, nog leuker dan de originele!